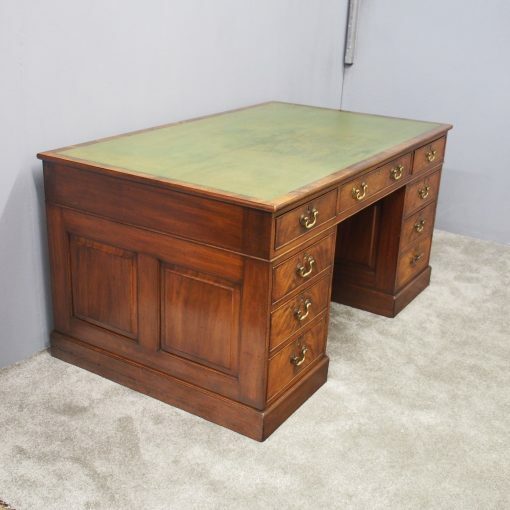 Circa 1900, Georgian style mahogany free-standing partner’s desk. 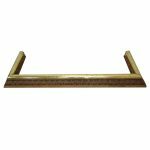 The rectangular top has a tooled green leather writing surface over a long frieze drawer, which is flanked by two banks of 4 graduated drawers with brass loop handles and ash liners. There are fielded panels to the sides and 2 cupboards with fielded panels to the rear, all sitting on moulded plinth bases. Whilst dated circa 1900, it is made using Georgian period wood.